Family, Cuban, Tradition – revitalizing a brand for growth in today’s market, while paying homage to the roots of their humble beginnings, el gusto es nuestro. 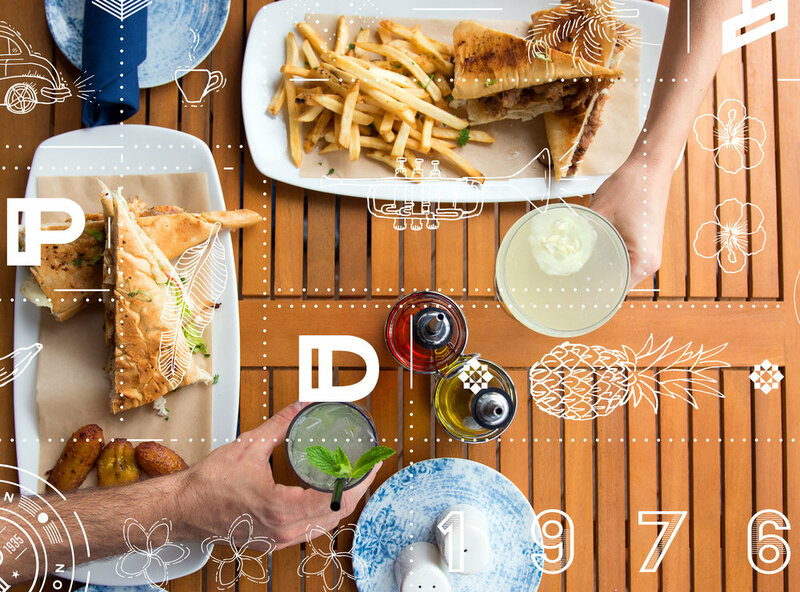 Our biggest challenge was unifying every restaurant location under one look. 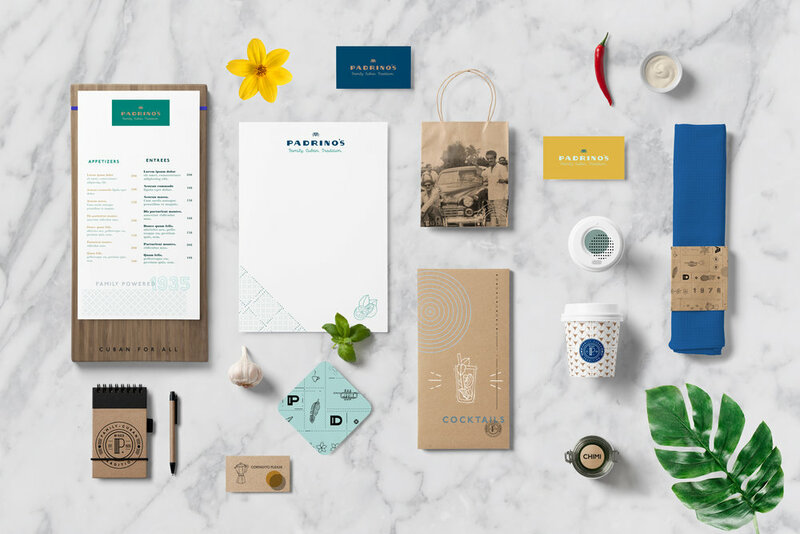 Our design strategy centers around a dynamic visual language to connect all flagship locations and solidify the overall experience of the brand. A big part of the brand voice was developing hand-drawn illustrations unique to the brand, incorporating resort-chic colors and layering images of old family photos. 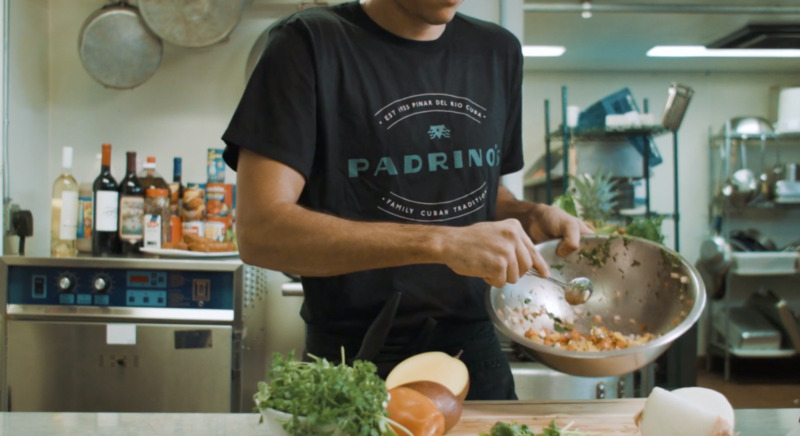 Hospitality had been in the DNA of Padrino’s since the beginning. These photos are of the grandparents socializing with friends in the parties they would host back in Cuba. Applying a half-tone effect with color brings these old memories to life as they live and breathe in each touchpoint of Padrino’s.